WORKSHOP by: EAAE Research Academy. Published: March 16, 2018. Research Methods, Supervisory and Evaluator’s Training Session coordinated by EAAE Research Academy. Aim: discussion about starting points for the ‘policy paper’ on doctoral training in architecture (doctoral work and its dissemination). Where and how do we evaluate the doctoral training process within the CA2RE community? 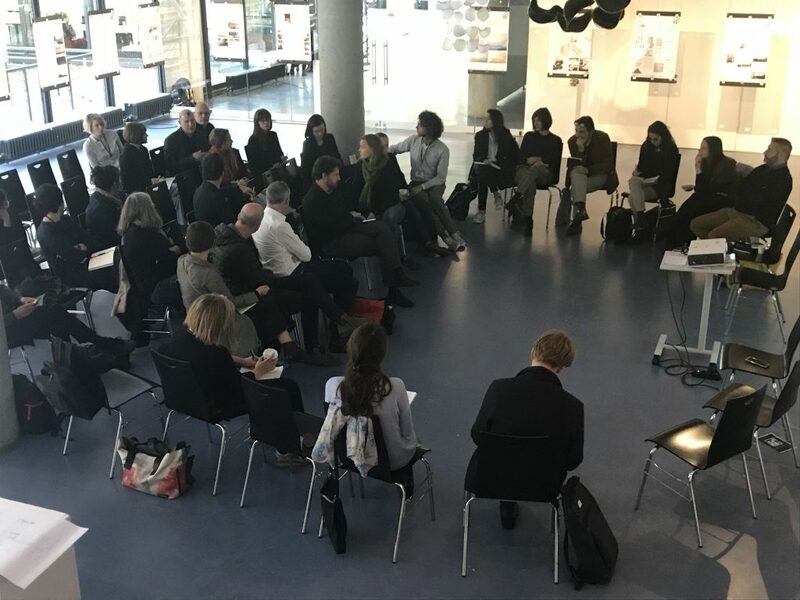 CA²RE, the Conference for Artistic and Architectural (Doctoral) Research will be hosted in September 2018 at the Institute for Architecture of the Technische Universität Berlin, in association with ARENA, EAAE and ELIA. CA2RE is intended to bring together senior staff and early-career researchers to improve research quality through an intensive peer review at key intermediate stages. It wishes to contribute to the open and diverse fields that exist in architectural and artistic research, gathering all kind of approaches. The TU Berlin CA²RE event is the fourth in the CA²RE series, following the Ghent early-April 2017 initiative of the KU Leuven Faculty of Architecture, the second CA²RE conference at the University of Ljubljana, Faculty of Architecture, and the third on April 2018 at the Aarhus School of Architecture. Further editions will be hosted in other cities across Europe. The March/April 2019 event will be hosted by the University of Lisbon, Faculty of Architecture. In September/October 2019 we move back to Ghent, and in March/April 2020 our host is the Glasgow School of Art.